When you choose to shop on our Mind to Heart online store, you are helping to support our 24/7 services! We have carefully hand selected, designed, worked with many local curators and groups to come up with amazing products all with positive mental health connotations. All options make great gifts for someone in your life, or simply for yourself! Thank you for shopping with us! Please note that at this moment we are only shipping within Canada. 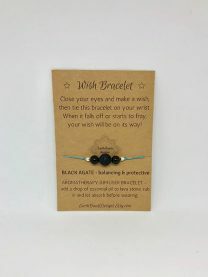 Wish Bracelet for BALANCING and PROTECTIVE, featuring Black Agate stones. Place your favourite essential oil on the black lava beads, tie your bracelet on, make a wish, and keep it on until it falls off! 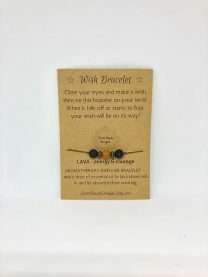 Wish Bracelet for ENERGY and COURAGE. Place your favourite essential oil on the black lava beads, tie your bracelet on, make a wish, and keep it on until it falls off! 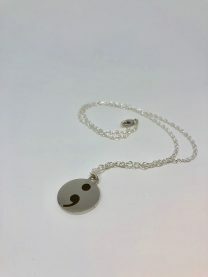 Hand-stamped semi-colon necklace. Your story isn’t over yet; it’s still going. Circle pendant on an 18 inch chain. 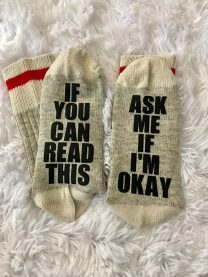 Make your feet warm and cozy and send a message to someone at the same time! Five options to choose from. 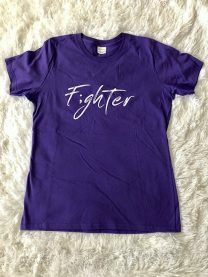 F;ghter t-shirt for women with positive semi-colon messaging. 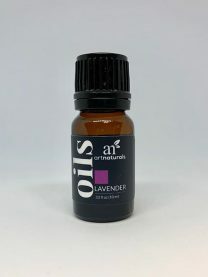 10ml bottle of Lavender essential oil by Artnaturals, 100% purity. Please consult your doctor or medical professional before using essential oils, to make sure this product is right for you. 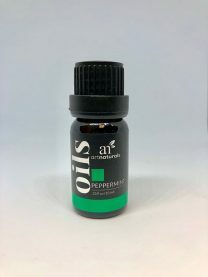 10ml bottle of Peppermint essential oil by Artnaturals, 100% purity. 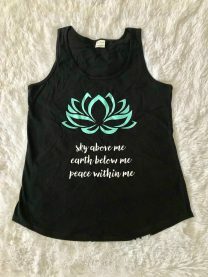 Women’s tank top, in black, with positive messaging “Sky Above Me, Earth Below Me, Peace Within Me”.